Students at a Montreal college are being subjected to world-wide scorn after videos of one of their parties leaked on to the internet. It wasn't the oversexed debauchery that shocked the world. It wasn't the underage drinking that rattled the public. It wasn't the fact that they were playing psytrance that bothered the masses. No, what pissed them off was the fact that party goers were told to cover their faces in shoe polish and to dress up as their favorite African. 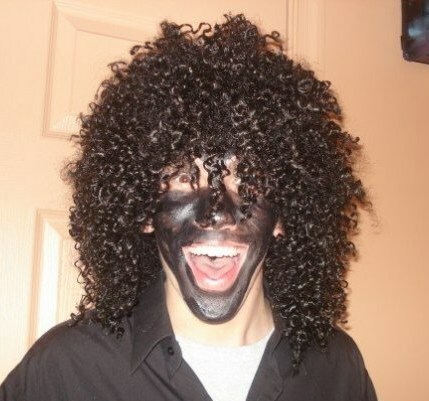 It's 2011 and people are still dressing up in black face. These young revelers showed a dreadful lack of common sense. The fact that they're Montrealers, and not hicks from the backwaters of Alabama is a tragedy. You'd expect this sort of thing south of the Mason-Dixie line, but in Canada? Montreal isn't the only Canadian city that's had to deal with students wearing black-face. Toronto had a scandal of it's own back in 2009, when students at one of their universities threw a Cool Runnings inspired Halloween party. In 2010, the law faculty of another university in Ontario got in trouble after they threw their own black face party. Unlike the the students in Ontario, the backlash against the Montrealers has been swift and fierce. Many of the students who attended the party are now living in fear. Five of the students dropped out after being bombarded with death threats from enraged strangers. The school, meanwhile, defended the student's racism, claiming that their black face party was "just in good fun."